Broadcom Inc., a semiconductor maker whose acquisitions have reshaped the chip industry, agreed to acquire CA Technologies for $18.9 billion in cash, branching out into corporate software to diversify its business. 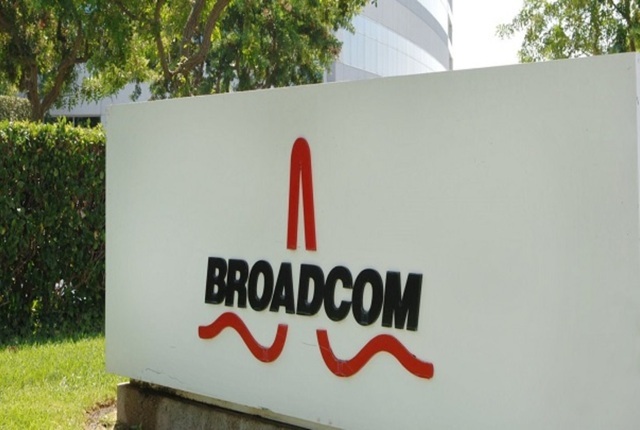 Broadcom will pay $44.50 per share, a 20 percent premium to the CA’s closing price on Wednesday, the companies said in a statement after markets closed for the day. The deal will immediately add to Broadcom’s earnings once completed, which is expected in the fourth quarter. Under Chief Executive Officer Hock Tan, Broadcom has transformed itself through a string of deals into one of the world’s largest chipmakers. Last year, Tan launched an ambitious attempt to grow even bigger — through the purchase of rival mobile-chip maker Qualcomm Inc. That hostile takeover bid was blocked in March by the U.S government on national-security grounds. With a deal for CA, Broadcom will move into software used to manage business planning and other processes, adding a steady stream of recurring revenue from long-term contracts. The company implied that it will do more deals. Shares of New York-based CA were up 16 percent in extended trading following the announcement, which came after reports that a deal had been reached. Broadcom stock fell 5.6 percent. After the rejection of its Qualcomm bid, the San Jose, California-based company — which relocated its headquarters to the U.S. from Singapore earlier this year — had said it would probably avoid large purchases and concentrate on returning cash to shareholders in the form of stock buybacks and dividends. Broadcom plans to pay for the purchase with cash on hand plus $18 billion in new debt financing. The company said it expects its debt rating to remain at investment grade. Tan has built Broadcom by acquiring what he calls franchises. He looks at targets and identifies units and businesses inside those companies that he believes have a sustainable advantage, makes an acquisition, then spins off or shutters everything else. That has widened Broadcom’s profit margins by more than 20 percentage points since 2009 and earned him praise from the market. CA Technologies, incorporated as CA Inc., has even better profitability. Broadcom’s gross margin, or percentage of sales remaining after deducting the cost of production, was 67 percent in its most recent quarter. CA was at 86 percent. Still, Broadcom is a provider of components for computers, smartphones and networking equipment. CA’s software and services don’t directly overlap in any way. But diverging so far in terms of products may help the transaction avoid the same level of regulatory scrutiny that undid Tan’s attempted Qualcomm purchase. Winning the go-ahead from governments has become an increasingly challenging in the chip industry, where the sensitive nature of the technology and its use in military equipment can lead lawmakers to block deals based on questions about national security. CA makes software to manage IT operations, digital security and project management and for developing applications. The company traditionally made products that run on mainframes, but in recent years has entered the cloud computing market. The software maker is cutting 800 jobs, it said in a regulatory filing in May, putting it in line with the cost-reduction measures that Tan usually employs. The software maker has projected sales of $4.25 billion to $4.29 billion this fiscal year — which would represent a slight rise from fiscal 2018. Revenue climbed 5 percent in that period, and was little changed or fell for the five years prior to that. In the fourth fiscal quarter, about half of the company’s revenue still came from solutions for mainframes — a type of computer that organizations have used to process vast amounts of data since the 1960s. That area contributes 90 percent of the company’s profit.